A Proposal and Wedding Sneak Peek! Romance is in the air! We got lots of goodies coming up and we can’t wait to share. Today is just a glimpse of a few of these fab-u-lous occasions. One is KC and Bry’s bo-ho chic inspired wedding this Saturday so I had to include a photo from their amazing engagement photo shoot with Kevin Warn (don’t worry there are many more to come and the details are to die for!). 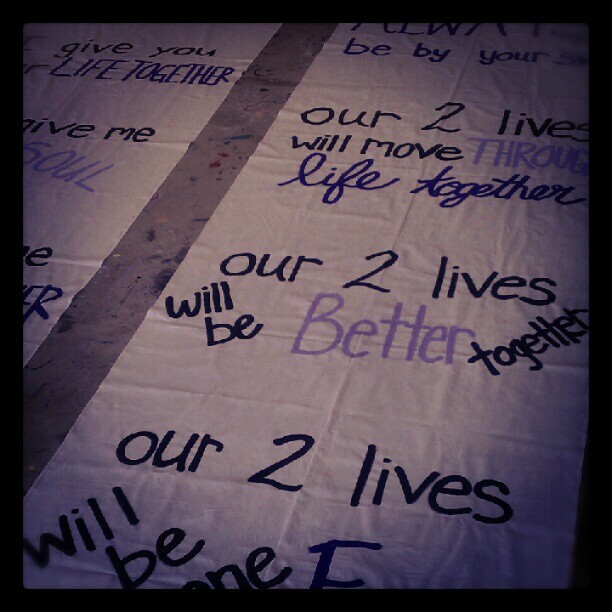 The second pic is a one of many fabric banners I created for an upcoming marriage proposal. Sorry can’t share too many details… wouldn’t want to ruin the surprise! Photo: Finally got Instagram so my photos look so much cooler!